Once made into a candle and lit, the smell of Christmas hit. So somewhere in my youth or childhood, there must have been a Christmastime bayberry candle or two. Bayberry tallow feels harder than beeswax and the chunks I bought are dusty with bloom. Its color is olive green. Molded into a candle it feels smooth and just ever so slightly greasy. Like most candles it burns with a marvelous light. 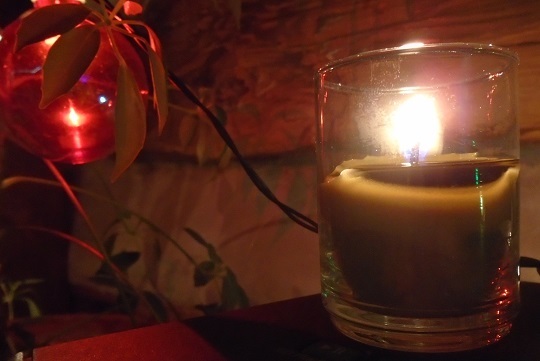 Unlike most candles, a clean woodsy scent wafts about. I’m tempted to say the flame is bright and rich—and again, clean—but perhaps I should restrain from hyperbole, or redundancy. After all, what candlelight isn’t lovely? 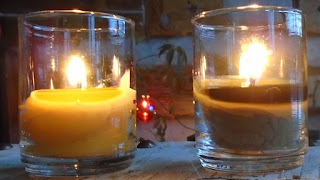 I burned a bayberry votive and a beeswax votive in glass cups side by side. For aroma and light, it is a great combination, but, I admit, the bayberry held more intrigue. Although lively, its flame was steadier, more even. The top quarter-inch or so of the wax liquefied. I suppose that is due to bayberry’s lower melting point. Beeswax melts around 146 degrees Fahrenheit; bayberry at about 118. But according to Albin H. Warth in The Chemistry and Technology of Waxes, bayberry’s melting point rises as it ages. The example given was four-month-old wax with a melting point near 127 degrees. I haven’t read of this elsewhere. 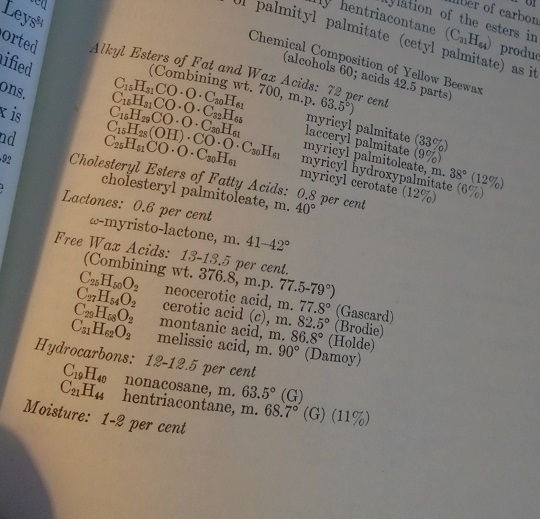 In The Complete Technology Book on Wax and Polishes the melting point for bayberry is given as a range between 102-120 with no explanation provided. Warth points out that no other wax is known to have this quality of a changing melting point, but it made me think of the question I have been asked occasionally about aged beeswax and doesn’t it burn better? But a higher melting point doesn’t necessarily translate to a better burn. Being a nice person, I put out my bayberry candle on purpose, discovering Mr. Beverly was right. What a pleasant after-aroma! And then I did that trick of holding a lit match in the smoke an inch or so above the wick, thus relighting the candle. Still another oddity is the fact that technically bayberry wax is a tallow. For clarification or muddification (best to be prepared for either) we turn to excerpts from The New World Family Encyclopedia (1954). WAX, a solid organic substance composed of esters of higher alcohols and fatty acids. Thus, they are similar to fats but contain the alcohol group rather than the glyceryl (see Fats). TALLOW, the product extracted or rendered from the solid fat, or “suet,” of cattle, sheep, goats, or horses. It is made up largely of olein, stearin, and palmitin oils. … Vegetable tallow is a fat obtained from plants … The fruit and bark of the tallow shrub, the bayberry, yield a fat. Curiosity compels us to read the next entry. This caught my eye because soy wax is a product of hydrogenation, produced by hydrogenating the oil that is squished out of the soybean, and this hydrogenation requires a catalyst, which I understand to be a substance that enables other substances to combine to become a new substance. For soybean oil and hydrogen the most common catalyst I have read of is copper. For those who enjoy semantics, this makes soy wax interesting. If it must go through a process such as hydrogenation, can it truly be called, as it is, a natural wax? Warth includes it as such, stating: “ … wax from the winterizing of soybean oil … amounts to about 0.002 per cent of the original oil.” So a minute amount of wax does seem to occur naturally in the soybean. But this is not the current-day product we call soy wax. 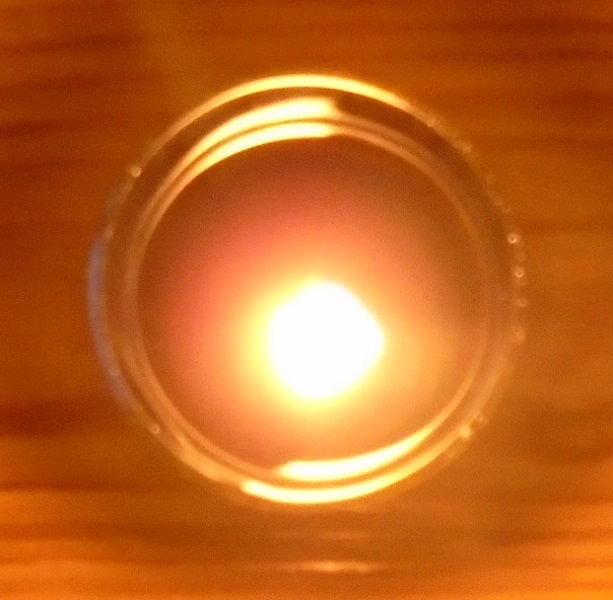 Soy wax is now fairly ubiquitous in the candle market; it is plentiful and inexpensive. The soybean crop in the U.S. is larger than all others but corn, and a July 2017 article on agweb.com leads with “The world’s soybean crop has grown by leaps and bounds since 1990, growing 231%.” A quick search online shows that to the candlemaker many different soy wax formulations are available. (And I have read that the formulas are highly secret!) One formula will work better in containers, another for molded pillars, and another will prove superior for holding your additives, your color, your scent. By contrast, bayberry wax can be hard to find, is expensive, and it is what it is. It comes with its own essence. Bayberry wax was a standard farm production wherever bayberries grew, and was advertised in New England papers until this century. I entered within a year a single-storied house a few miles from Plymouth Rock, where an aged descendant of the Pilgrims earns her scanty spending-money by making “bayberry taller,” and bought a cake and candles of the wax, made in precisely the method of her ancestors; and I too can add my evidence as to the pure, spicy perfume of this New England incense. Maybe someday I will come across some bayberry bushes in a garden, in the wild, in an abandoned farm field. If I do, I hope it is autumn, when the berries are ripe and covered in tallow. I will pick the berries, boil them in water, get me some wax, make me a candle or two. For the record, the bayberry votive burned for 12 hours leaving an amazingly clean cup behind. The beeswax votive burned a few hours more, leaving some wax behind. 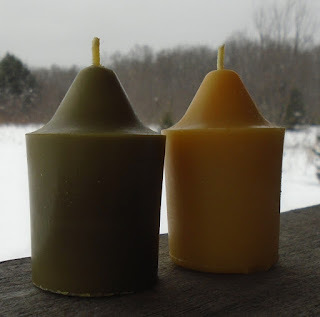 In my experience, sometimes a beeswax votive leaves nothing behind, sometimes something. The roads in and out are few. If you take the one eastward, you skirt the county seat, a town of 2,000, give or take. On the hem of this skirt you see a hardware store, a manufacturing plant, a creek, railroad tracks, a fast food joint, three gas stations, a car wash, a dollar store, an empty building with a buckling concrete parking lot, a couple of motels and a restaurant or two, a lumber yard, a large discount store, the county hospital, more railroad tracks, a large open-air vegetable and fruit stand open only during the appropriate months, and a few other things, this and that. Over the last few months the empty building—it may once have been a grocery store—was torn down, rebuilt. Now there are two dollar stores. One day on the island—the island that is not really an island but rather a large hump of sand protruding into the river—I heard a chain saw revving up, winding down. Revving up, winding down. It was coming from across the river. I listened for a while. 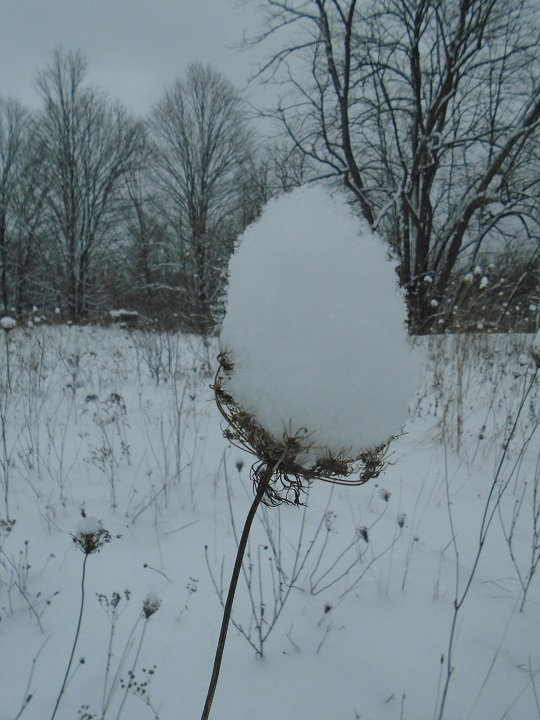 It was the only sound other than the whisper of the river and the peep of the chickadees. It troubles me that there are noises I sometimes want to quiet but can’t. That I let these noises bother me. But, do I have a choice? A few days later at the cabin I could hear the noise of something like a bulldozer churning back and forth, the crack of a limb, the fall of a tree, a bulldozer churning back and forth. 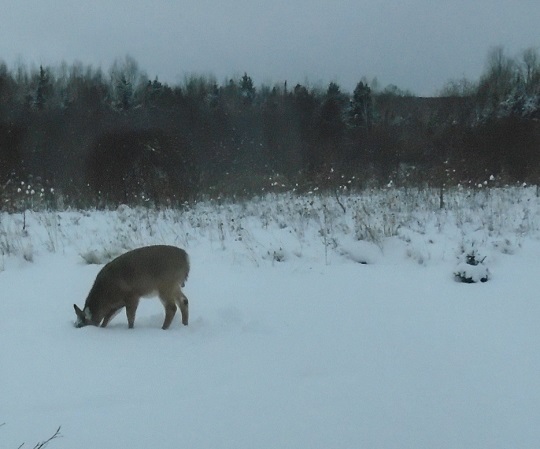 On snowshoes I walked over to the river, criss-crossing the lacework of deer trails, Josie plowing along behind, in front, then off on his own. Atop the bank I looked across the river at a little yellow ’dozer atop the opposite bank. It looked like some engorged insect or pre-Star Wars critter as it lurched forward, back, its gaping jaw moving up and down, the whole thing spinning ’round, slowly, in jerks, an exotic pre-historic dance, and, in reality, it seemed curious. Wide swaths of that bank drop away most every spring as the river cuts in with a resurgent flow. It is a sandy bank; at its bottom lie the washed remains of trees that have fallen. And now here was this creature, at its edge, felling trees, digging holes. 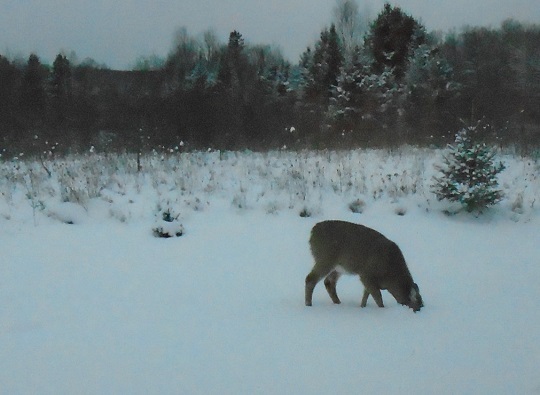 Back home, at the kitchen sink, looking out the window, I could still see the ’dozer. I got out the binoculars. What for? I put them away. And then I wondered: What if this yellow creature made a misstep, toppled over the bank, down into the river? The vet took pictures inside Elliott’s head. At the moment the name of this procedure—it is common—escapes me, but the vet’s description remains: Imagine you have a loaf of bread, you cut the loaf into slices, you take a picture of each slice. Upshot: Any way you sliced it, Elliott had this huge thing growing in his head. It was blocking one nostril and encroaching on the other. It had bent a bone near an eye socket, and there was something about a bubble of gas in that eye socket. The more slices of bread the vet showed me, the bigger the loaf became. So Josie, Elliott, and I went home. A few weeks later I took Elliott to the local vet for the last time, just before snow and cold wrapped us in. Suddenly, there was a break in the weather. Josie and I found a road out and went to stay for a few days in the town where I grew up. We stayed across the street from a shopping center next to an expressway off-ramp. It was never quiet (constant hum of passing cars) and never dark (streetlights, shopping center lights, traffic lights, Christmas lights). It was a comfort. On our daily walks Josie, chasing squirrels, pulled me along at the end of his leash. High up in the leafless trees you could see the squirrels’ nests like huge beehives of sticks and leaves and whatnot, sometimes as many as three in a tree. Josie was sure there was a squirrel behind every tree. He may have been right. I went to the store where my mom took me every fall to buy new clothes for school. A kilt, maybe, and knee socks, a turtleneck, a sweater. I thought how funny it would be to buy my sisters’ Christmas presents there—knee socks, definitely, what else? As I shopped I told the woman waiting on me all about how my mom shopped for us there so many years ago, and I learned the store is still owned by the same family. She had been working there 35 years. For days I watched the Thomas Fire while my sisters breathed its smoke, waded through its ashes. The package with their presents of knee socks (and more!) from Lad & Lassie was delivered one day as they were evacuating, or preparing to evacuate, or maybe between evacuations—something, anyway. The situation was fluid, and, at times, frightening. In the end, though, many days later, for them, for us, and with much gratitude, no one and nothing was lost. Everyone went home. Indeed, bayberry candles are expensive. And yes, there is this bayberry & good luck Christmas thing. A plain bayberry candle arranged festively and decoratively with blocks of myrtle wax. 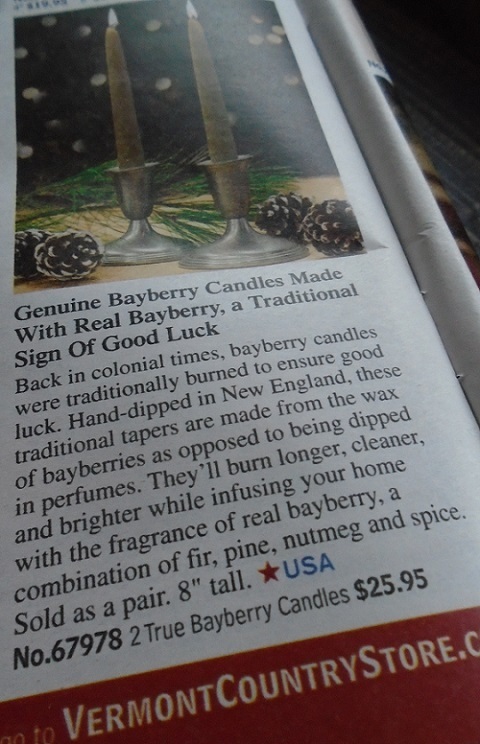 What one reads is that bayberry candles are a Christmas tradition dating back to Colonial America, and there is a legend that has to do with lighting one bayberry candle on either Christmas Eve or New Year’s Eve in order to summon good luck for the new year. The more I read about this legend (and the only place I read about it is online), the more it reminded me of that jazz about beeswax and negative ions, meaning: goofy marketing ploy. Which, I hasten to add, should not detract from one’s reverence or enjoyment thereof. Bayberry & Beeswax, a couple of old pals. So what’s the big deal? Myrtle sounds like an ordinary, hard-workin’, no-nonsense (albeit pretty) gal from the country while Bayberry is like some la-di-da fancy-pants debutante living in a mansion on the hill coming out just once a year to bestow upon us all her glory and luck. How did she get so great? 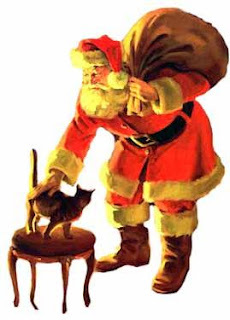 Enter the legend of the Christmas bayberry candle, which is repeated on so many websites that sell bayberry or so-called bayberry candles and repeated once and twice and thrice again on so many websites that just seem to want to explain things without offering any insight into the author’s sources or methods, that I became suspect. Plus, I did not find any mention of a bayberry candle tradition on any site of a historical nature that attempted to describe Colonial America, its traditions, and the ways in which people celebrated Christmas in the 1600s into the 1700s. 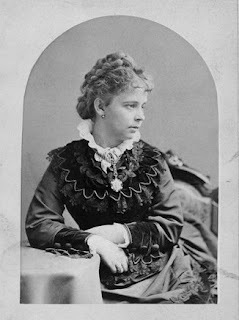 I did find a great book from 1894 called Customs and Fashions in Old New England, by Alice Morse Earle, a woman of some authority, and although it mentioned candles made of bayberry wax, there was no mention of any Christmas tradition with said candles. Furthermore, her description of light sources in the 1600s leads one to question the part of the legend that has to do with most candles of the time being made of animal fat. Here’s the full bayberry candle legend as I have come to understand it. In Colonial America, times were tough. The only light came from candles, and candles were made from tallow—animal fat—and tallow was messy and stunk and inevitably turned rancid. 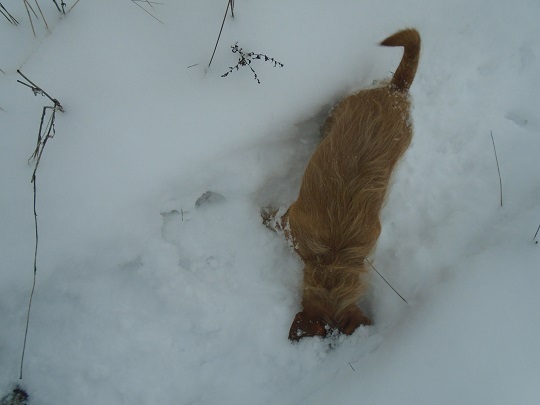 Then the people discovered bayberry shrubs, which surrounded them in abundance. They picked the berries and boiled them for hours. A wax was gleaned, and the wax was good. It could be made into candles that were brighter, sweeter, and far longer-lasting than tallow candles, and the people were grateful. 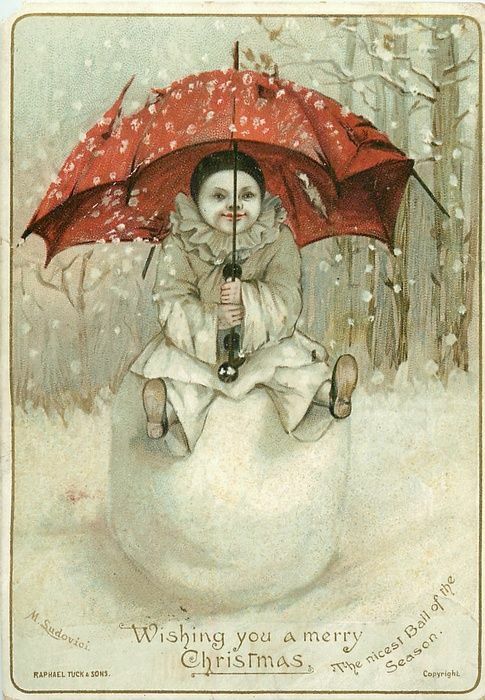 But, alas, it took so many berries to make so little wax; and candles of bayberry became precious, a luxury to be used just once a year, on Christmas Eve, or New Year’s Eve, or maybe just at the darkest time of year. And the candles came to signify good luck, and the people composed a poem. on Christmas Eve burn it down to the end. brings luck to the home and wealth to the pocket. With Holiday Tradition that's tried and true. Love and Luck come to you when it's burned all the way! Well, sure, I wasn’t there, but I’m not at all sold on the idea that these pithy little rhymes came out of the mouths or quills and ink of Pilgrims and Puritans, or even that they were exchanging Christmas gifts. Which doesn’t mean they weren’t burning their nice bayberry candles during the dark of the winter solstice, hoping for better luck ahead. 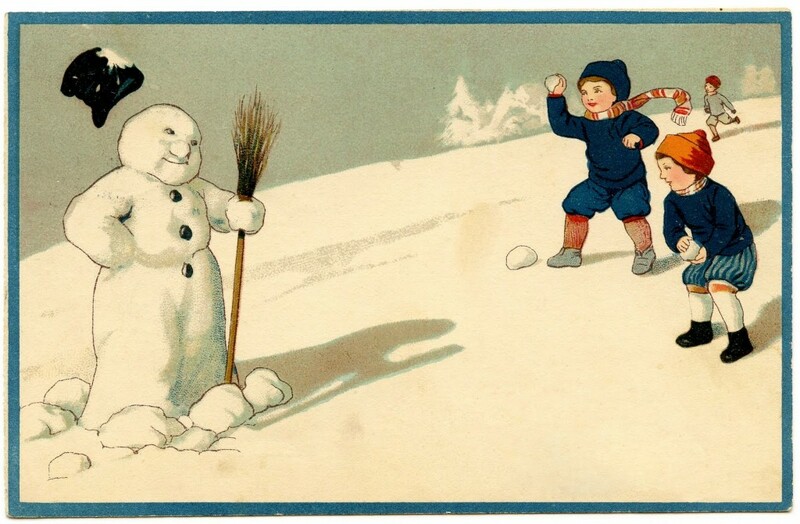 But these poems remind me of something on an old-fashioned Victorian postcard, or a particularly verbose gift tag of yore, or some funky and fun advertising from a hundred or so or less years ago. But Colonial America? I’m not buying it. But I did buy a pound of bayberry wax online from a beekeeper supply company, and there we have Part 2, coming soon. Best of Bayberry Luck to You and Yours. Who knew wax was so interesting? Yes, there are liquid waxes. 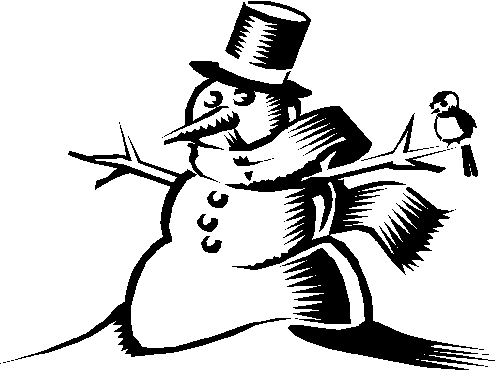 Liquid waxes are those which are liquid at ordinary room temperature. They are on the boundary line between the vegetable oils and solid waxes in many of their physical and chemical constants, but differ from fatty oils since they are virtually free of triglycerides. But mostly wax is solid at ordinary room temperature, and it turns up everywhere. Did you know mistletoe berries contain wax? (It makes me a trifle sad that when googling mistletoe wax what Google serves up are links to products concocted from standard types of wax saturated with various so-called holiday scents. Nice products, I suppose, but nothing to do with mistletoe wax.) And did you know that cranberries shed water due to the wax on their skin? How about sugar cane wax? When made into a taper it burns with a fine white flame like spermaceti. But by far the most interesting wax was the last discussed. Adipocere wax is encountered in the decomposition of corpses in cemeteries. So, is it safe to say we all have a (potential) flame within? 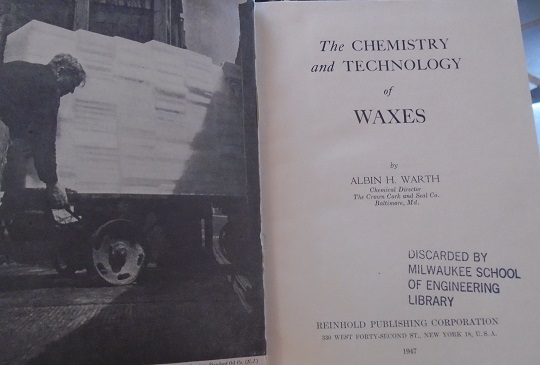 The Chemistry and Technology of Waxes, by Albin H. Warth, published in 1947 by Reinhold Publishing Corporation in New York, popped up somewhere in one of the several wax research studies that lately I have been perusing online. I became keen to own a copy of the book as originally printed and bound. Amazon offered three options ranging in price from $95 (“used – acceptable”) to $500 (“used – good”). AbeBooks offered modern-day reprints for about $15 to $20, and, lo and behold, one old, original book, used, in good condition, a former library book, $22. The book arrived in the mail this week. A bookplate informs that it once belonged to the Walter Schroeder Library of the Milwaukee School of Engineering, presented to said library by Fred Portz, Sr. A quick Google search led me to Mr. Portz’s son’s obituary (or so I believe), and I stopped to wonder why I was googling Fred Portz. Better to look up Albin H. Warth, Chemical Director at The Crown Cork and Seal Co., Baltimore, Maryland, but, wait, isn’t it too early for a side trip? 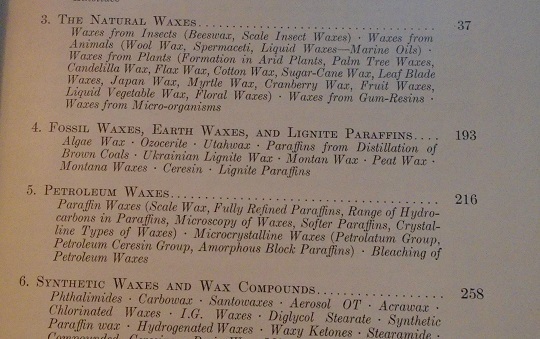 The Table of Contents alone of The Chemistry and Technology of Waxes tells us much. The chapters are organized by type of wax (natural; fossil, earth and lignite paraffins; petroleum; synthetic, etc.) and the list below each heading tells us what to expect. For example, in the chapter on natural waxes we will learn about beeswax, cotton wax, cranberry wax, wool wax, and others. Among the fossil and earth waxes we will discover algae wax and peat wax. There seems to be a regular plethora of waxes. The book’s “Introductory” (Chapter 1) was short and easy, and I appreciated the etymology. Wax is as old as man. The English term wax is derived from the Anglo-Saxon weax, which was the name applied to the natural material of the honeycomb of the bee. When a material of similar resemblance was found in plants it also became known as weax or wachs, and later wax. 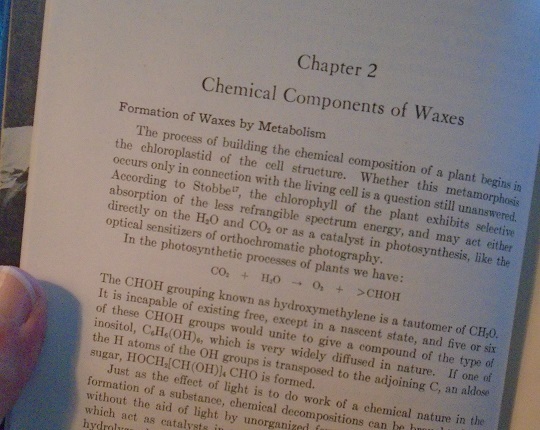 At the start of Chapter 2, “Chemical Components of Waxes,” my gears stalled and my eyes glazed over. I spent some time mulling over the word tautomer, then skipped ahead to Chapter 3, “The Natural Waxes,” and found myself understanding perfectly well this bit on page 40. Coloration of Beeswax. Vansell and Bisson143 of the California Agricultural Experiment Station made a study of the coloration of beeswax. Freshly secreted beeswax is white, but it readily absorbs colors from various sources. Some pollens carry yellow substances, which are liberated to the beeswax in either solid or liquid state. A cell in a new bee comb, as well as the walls of the adjacent cells, becomes very yellow when melted (in glass) with fresh pollens collected from various plants. For example, the color imparted to white beeswax by the golden pollen of the sunflower, Helianthus bolanderi, is a bright orange yellow; that of the golden pollen of the California poppy a brilliant orange yellow; that of the bright yellow dandelion, Taraxacum officinale, Weber, a bright yellow; that of the brown pollen of the white clover, Trifolium repens, L., only a trace of yellow; that of the pollens of alfalfa, flax, hollyhock, and many others, none. Much of the crude beeswax imported from Cuba and other Caribbean countries is distinctly brown. It has a strong beeswax odor, masked to some extent by a tobacco-like smell. The pollen of tobacco plants is said to be responsible for both the off-odor and off-color of this wax. Before long, though, I was once again at a loss. Here it is, plain as day, the chemical composition of beeswax, and yet to me it appears almost completely meaningless. The sub-section that ends with this big reveal begins with the claim that “For the past century the chemical composition of beeswax has been a subject of discussion … ”. I see there’s a long way to go. (Coming up: liquid animal waxes such as mutton bird oil and “Sperm oil from the blubber and the cavities in the head of the sperm whale … ”.) Much mystery lies ahead. At the end of the beeswax section in The Chemistry and Technology of Waxes, the National Farm Chemurgic Council is mentioned. The National Farm Chemurgic Council has reported that beeswax is being used in connection with the manufacture of at least four hundred articles—from ammunition, cosmetics, and medicines, to protective coatings on airplanes. Basing the name of their movement on the root words for chemistry (chemi) and work (ergon), chemurgists contended that the chemicals found in farm products could provide industry with needed raw materials. … Chemurgists had three principal goals: to develop new, nonfood uses of existing crops; to develop new farm commodities useful to industry to grow in lieu of surplus commodities; and to find profitable uses for various agricultural wastes and residues. Moreover, because most chemurgists were unabashedly economic nationalists, most hoped their programs would drastically reduce U.S. dependence on foreign markets. Born in Dearborn, Michigan, in the mid-1930s out of a meeting of like minds (including Henry Ford’s, whose company in 1935 “used 1 bushel of soybeans for every car it manufactured”) and directly linked to the experiences of and aftermath of World War I, chemurgy and its emerging councils had an impact which lasted until the Second World War and somewhat beyond, fading throughout the 1950s and 1960s until the councils, if not the ideas behind them, unraveled. As with all movements, I suppose, proponents varied in their intensity of belief. William J. Hale, referred to as “the father of chemurgy” in his New York Times obituary (August 9, 1955) and described in Finlay’s article as a “Michigan chemist linked by marriage to the Dow Chemical Company, and chair of the U.S. National Research Council’s Chemistry and Chemical Technology Committee,” was perhaps on one end of an extreme. … the chemurgists’ isolationist politics came under increasing scrutiny, and Hale’s writings, which included strong praise for the self-sufficiency schemes of Nazi Germany, became increasingly irrelevant5 (Wright 1995).